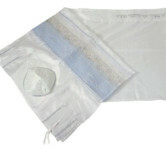 This sober tallit set contains a shawl adorned with original design elements, a grey kippa and a matching white bag. 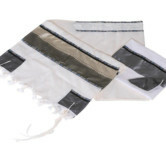 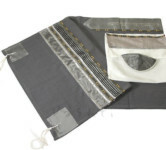 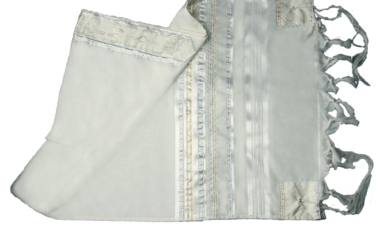 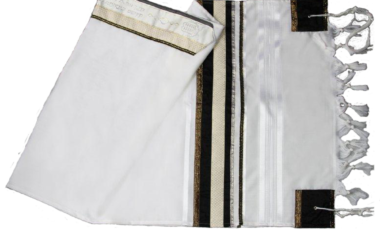 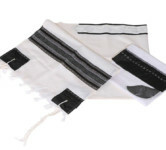 This hand made tallit set is available in three sizes and it contains a prayer shawl, a bag and a grey kippa. 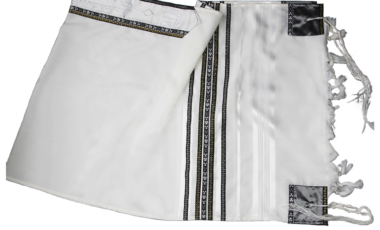 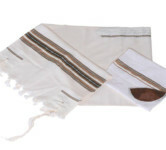 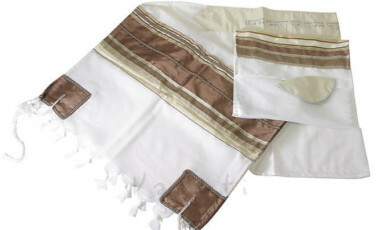 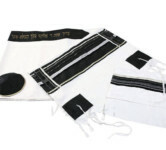 This is a very elegant hand made tallit set that combines symbols of fertility and faith with an exquisite design. 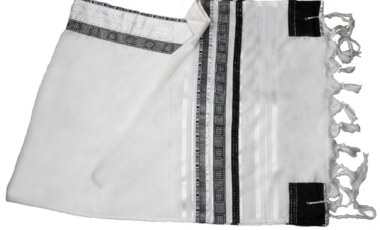 This is a special hand made burgundy and silver tallit to be worn with pride on Shabat or for marriage ceremonies. 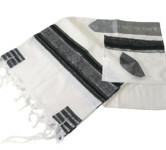 This dark grey tallit shawl and its matching kippa can be worn by the elderly as well as by the young for Shabat prayers and for other ceremonies. 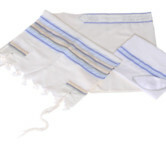 The yellow and blue stripes of this outstanding hand made woolen tallit set are a strong combination of divine symbols. 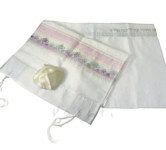 This elegant tallit set contains a prayer shawl, a golden kippa and a matching bag, all made of silk. 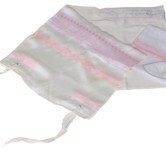 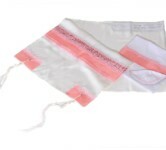 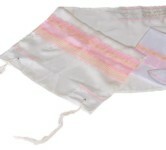 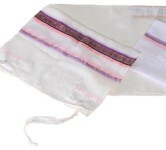 This is an elegant women tallit set, hand made and designed in Israel, made of silk and decorated with pink stripes. 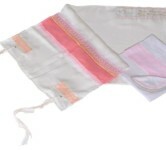 This is a special hand made tallit set decorated with pink stripes, especially created by the Israeli designers out of pure silk. 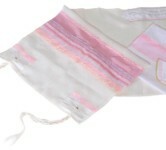 This hand made prayer shawl, kippa and bag made of high quality silk use pink and gold as chromatic tones. 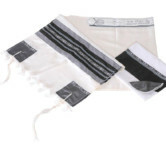 This is a special hand made tallit to be worn by Jewish women on Shabat or for the most festive occasions. 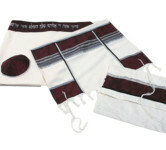 Judith tallit set made out of silk is the result of the typically Israeli masterful design and careful hand manufacture. 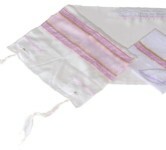 This tallit set has been created in Israel for Jewish women who love pink color and its combination with silver elements. 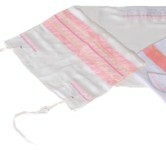 This qualitative hand made tallit set strikes by the elegance of its design elements which combine pink and silver colors.